Let the stresses of life and your work week melt away as you enjoy the soothing and relaxing scent of Stress Away Shower Steamers. These shower tablets will be your favorite new bathroom treat. You guys know I love my essential oils, and this is just another example of how you can use your essential oils. 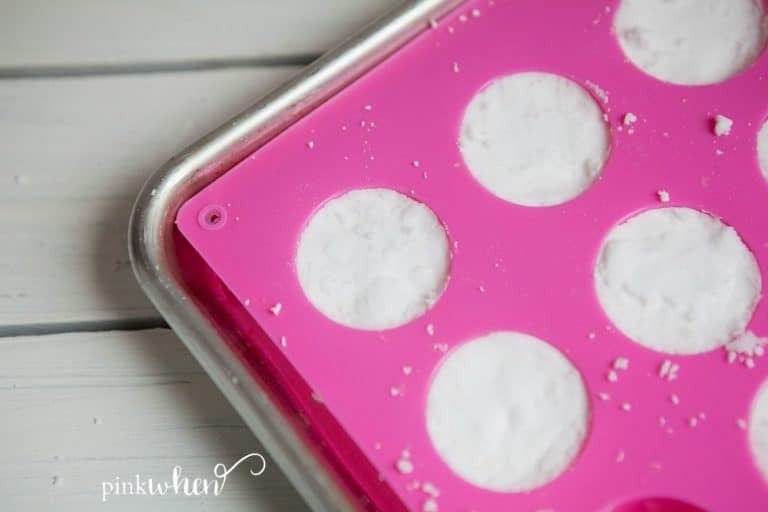 Check out how easy it is to make these simple shower tablets. I have been using essential oils for years. I never thought I would actually use them for as long as I have because I was one of the worst skeptics. That is until I used them and saw firsthand the benefits of my Deep Relief roller blend on my painful shoulder. After that, I was hooked, and have fallen in love with multiple oils for multiple reasons. But enough about that. Today I want to share with you these amazing Stress Away shower steamers, or shower tablets. One of my favorite blends to diffuse for relaxation has been taken to a whole other level. If you have Stress Away, you’re definitely going to want to add this to your To-Do list ASAP. If you don’t have Stress Away, what are you waiting for? Go buy some as soon as possible. Before you get started, preheat your oven to 350. 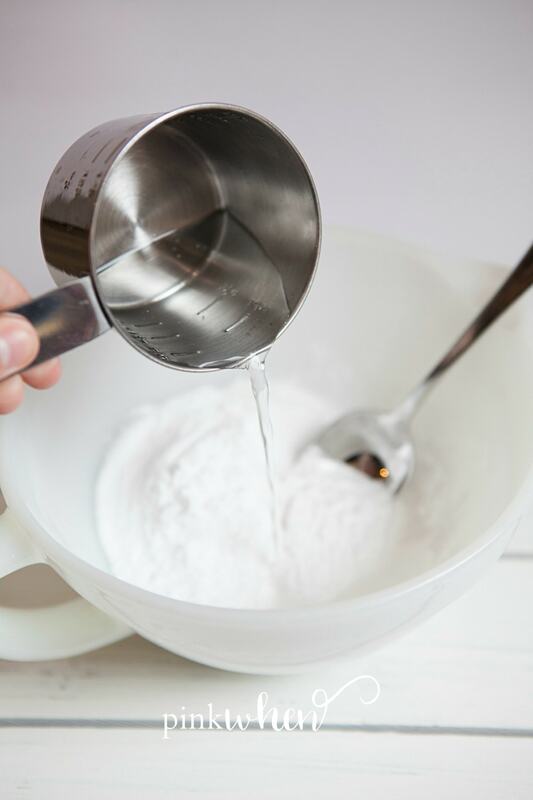 In a bowl, combine Stress Away, baking soda, and water. 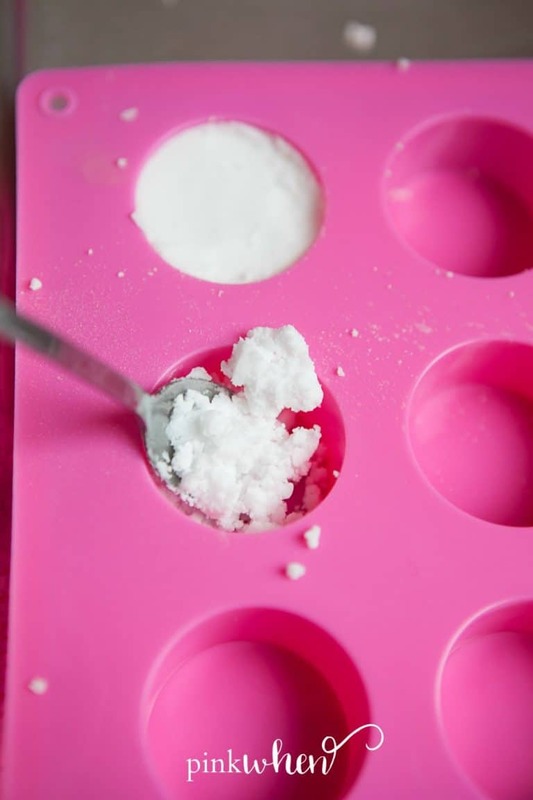 Mix these well until you have a paste that has formed. Spoon the paste into the mold and then smooth off the tops with your fingers. Place the mold in the oven and bake at 350 for 20 minutes. Remove the tray from the oven and allow the cubes to completely dry. If time allows, let them dry overnight for best results. Carefully remove the cubes from the tray and store in a jar. 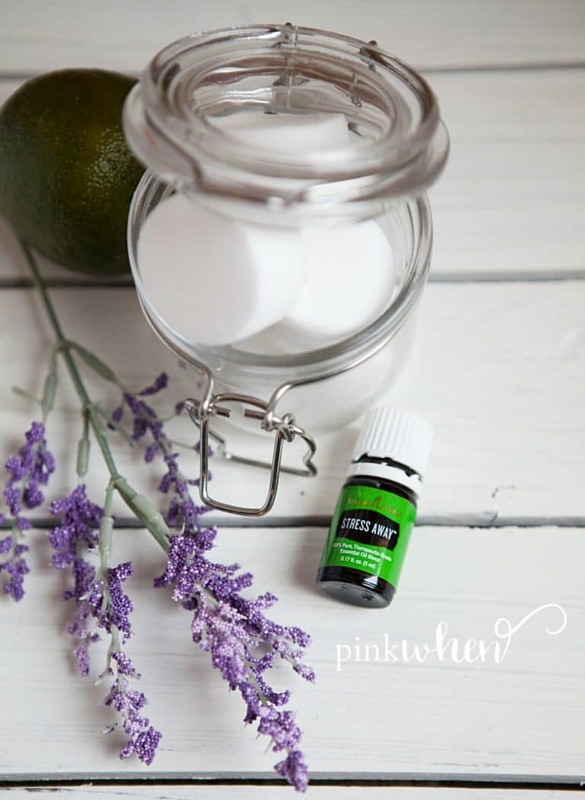 You can even add a few more drops to the cubes and in the jar if you want to make the scent even stronger. These are also great Mother’s Day gifts, or “any” day gifts. Just know that whoever is receiving this as a gift will love you forever. Trust me. These are so amazing, and so easy to make. 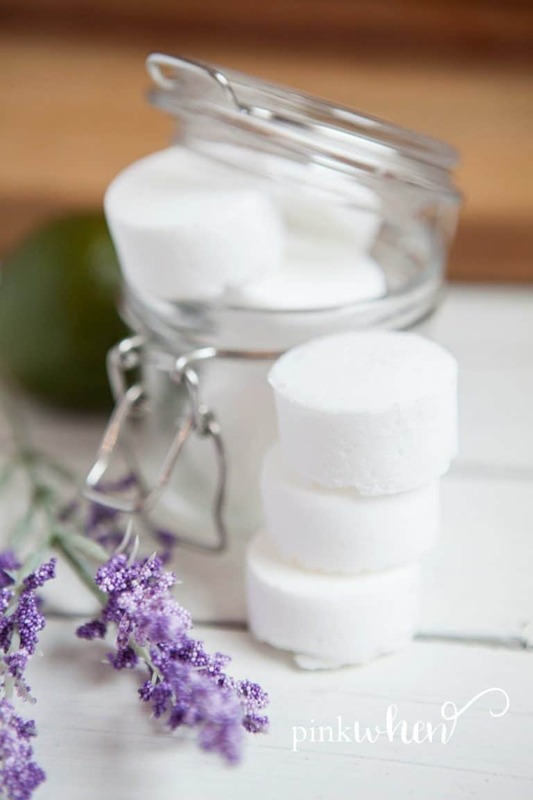 If you love these Simple Shower Tablets, check out these Peppermint Shower Bombs. They are also a huge favorite and a great gift idea. If you like those, you can also find this great list of 25 Shower Bombs that make perfect gifts! There are so many amazing ideas, and I have grouped them all together for you in one spot. 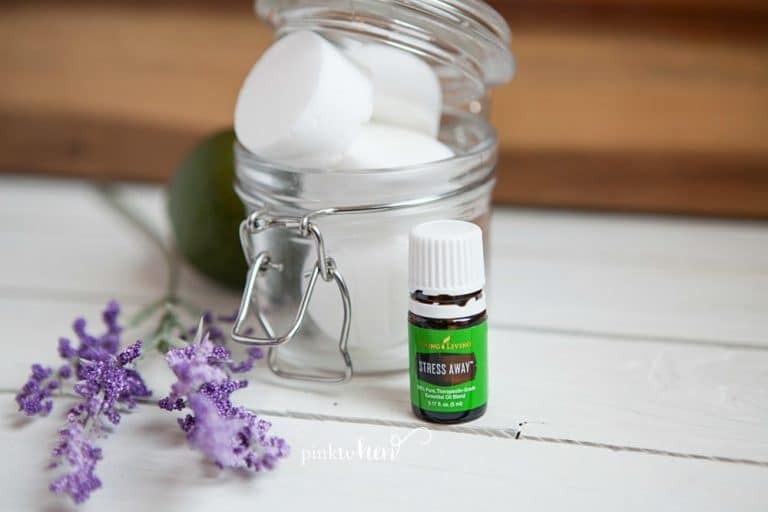 Don’t forget to check out all of these other uses for essential oils, and if you liked this article, make sure to pin it for later. What is the shelf live for these? Do they hold their scent well? Hey there. If you store them in a clean dry place (without light) and have them sealed you should be able to keep these for about 3 months. 🙂 Hope that helps!